When a laundry tub can't use gravity to drain away waste water, a pump is attached to push water up to the waste line where gravity CAN take over. When the washing machine discharges water to the laundry tub, the water drains into the tank where it raises the float to a pre-set point. The water is pumped out the discharge pipe and through the check valve to the main drain line where gravity will take over. The float drops back down and the check valve keeps the waste water from draining back into the tank. It is important to keep an eye on lint, buttons, screws, coins, and any other material removed from clothes so that it does not enter and damage the pump, causing water to overflow the laundry tub. 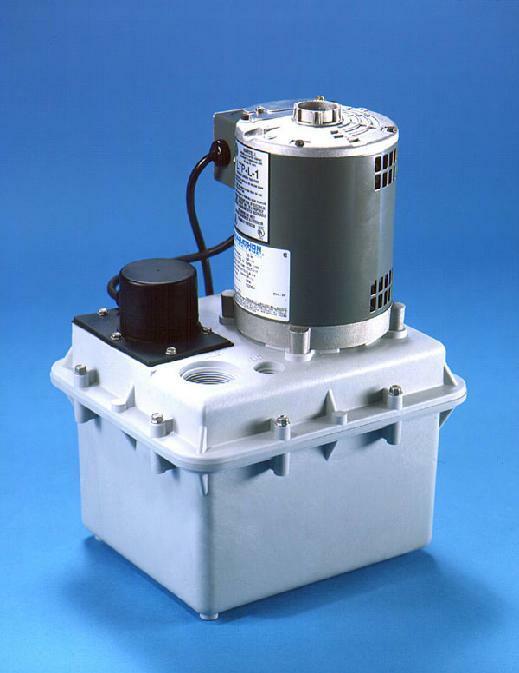 The pump can mount either to the floor or to the bottom of the laundry tub.